The transportation industry is well aware of the shift in Ride on Demand and Ride Hail services with the emergence of Transportation Network Companies (TNC’s) like Lyft and Uber. The TNC model moves vehicle ownership from fleet to the individual drivers lowering the cost of overhead for maintenance as well as any capital barriers for entry into the market reducing both transit agency & end user costs. The disruption has evoked a multitude of “expert opinions” and significant operational realities of competing for market share and various services. Mr. Rubino is dead on. Specifically, for local and regional community (non-profit & government) organizations and taxi companies, needing to step up their value positioning and educating their market. Especially regarding convenience and cost over care for NEMT (Non-Emergency Medical Transportation). On paper, the TNC’s model of cost and convenience would technically allow them to easily compete in the NEMT space by positioning themselves as addressing the major problems of connectivity causing missed appointments due to poor transportation providers, poor customer service or poor technology. 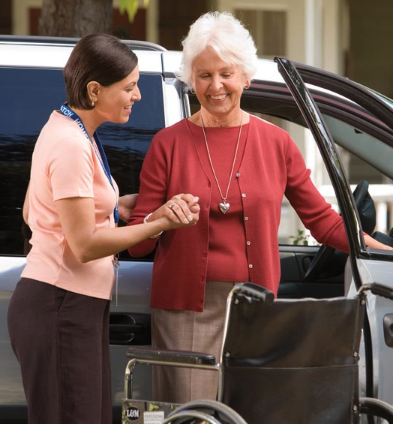 However, while apps and price alone may be disrupting the mainstream Ride Hail industry, TNC’s face a significant challenge being able to provide the necessary services with the care in which elderly and disabled passengers require. TNC’s have been reluctant to train or certify their drivers in this area, opening up NEMT providers with an opportunity to showcase their specialized ability to care for these riders in order to draw attention away from “lower costs” and focus the market on the true value they provide. However, they must also significantly address the new standard of convenience set by the TNC’s platforms with their riders’ ability to efficiently and effectively schedule through seamless technology. As a leading transportation management and software company providing solutions to transit agencies, taxi companies, fleet providers and major airports nationally, MJM Innovations serves to ensure they have the ability to help level the playing field. PreviousPrevious post:Ride On Demand Services are Getting a LyftNextNext post:Are Paratransit Services Going to Help Rescue the Taxi?